Now for some Yosemite action. We're moving onto the small town of Midpines just the other side of Yosemite National Park. 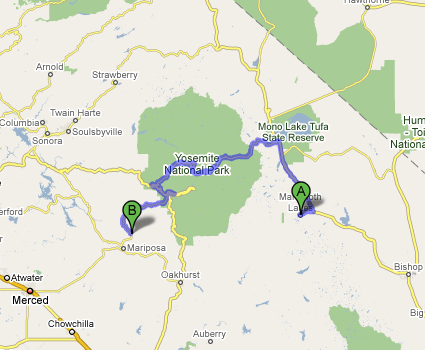 This will be our base to adventure and discover the more westerly and southern parts of Yosemite National Park. I'm quite looking forward to this drive too as it'll take us right through the middle of the park.